It’s amazing how quickly a year can fly by when you’re brewing beer. It seems just like yesterday I was standing in an empty room with the crew from Beer Lab HI as they were starting to work on the space what would soon become their brewery. Now a year and 53 batches of beer later, Beer Lab HI is turning 1. To celebrate their first anniversary, Beer Lab HI is hosting a huge party this Saturday, March 18th, from 11am to Midnight. The all day event will feature two different food trucks, hourly prize giveaways and a bunch of special beers brewed just for this day including Double Nimbus, Lilikoi Le’a (a soured saison with Lilikoi), Chief Imperial Stout and a Kohana Barrel Aged Tart Saison. I decided to catch up with head brewer Kevin Teruya to find out more about the special beer releases, to reflect on the past year and see what he has planned for the future. Chief Stout w/ coconut and coffee – 9.5% – Brewed in collaboration with Charles Rapadas of 3 Chiefs Brewing. This was the biggest beer we’ve ever brewed and we added coconut and barrel aged coffee! This beer is thick, chewy and decadent. It’s Jet black, almost motor oil thick, and coasts the glass with each swirl. There’s a touch of chocolate sweetness while the roasty notes of the coffee creep in the back end of each sip. It’s the thickest, richest beer I’ve every brewed. Tart de France – 5.9% – A kettle soured tart saison brewed with oats, wheat, rye and pilsener malt. Notes of kumquats and apricots come through, though no fruit was used with this beer. 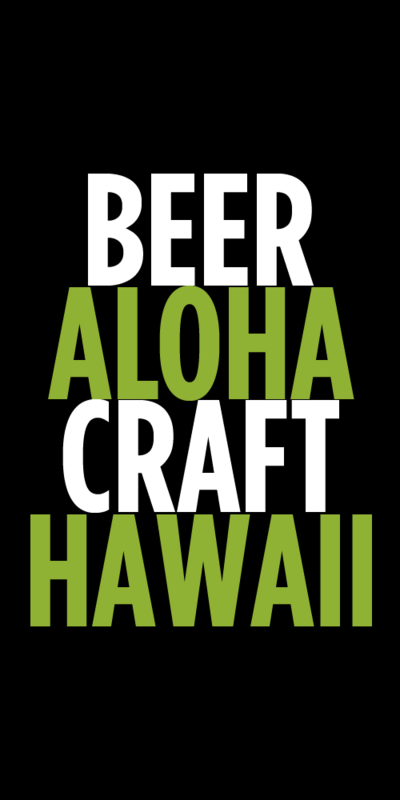 Lilikoi Le’a – 6.4% – A kettle soured tart saison brewed with lilikoi! Double Nimbus – 7.9% – Our classic NE IPA kicked up to be a bit bigger and hoppier. Brewed with Blanc, Eureka!, Citra, and Columbus hops. It’s hazy, fruit forward and smooth despite the enormous amount of hops used. In their first year, Kevin and his team of brewed up over 75 different beers and expanded into Sake and Kombucha (both passion projects from their brewing staff). Their experimental and risk taking approach to brewing didn’t go unnoticed by fans or the media. 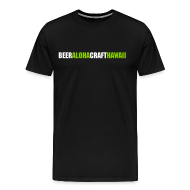 Beer Advocate named Beer Lab HI one of the best new breweries in the country for 2016, a first for a Hawaii brewery. The Truth, their 100% Brett fermented ale, is still Kevin’s most challenging beer to make because it is so difficult to replicate from batch to batch. His favorite beer to make is Ollie IPA, a classic West Coast IPA, that is dank and resinous but still highly drinkable. As for the next year, Kevin says they don’t like to plan too far in advance, “I haven’t thought much about new styles over the next year. We really only plan about 1-2 months ahead of a brew day.” He does though have want to venture into new styles that he hasn’t had a chance to brew yet and wants to do more Brett focused beers. There are also plans to brew larger batches of the popular one keg releases like the tart Saison series. And who knows, hopefully one day they can start bottling as well. Tags: Beer Lab HI. Bookmark the permalink.